The Oracle of Apollo at Delphi. 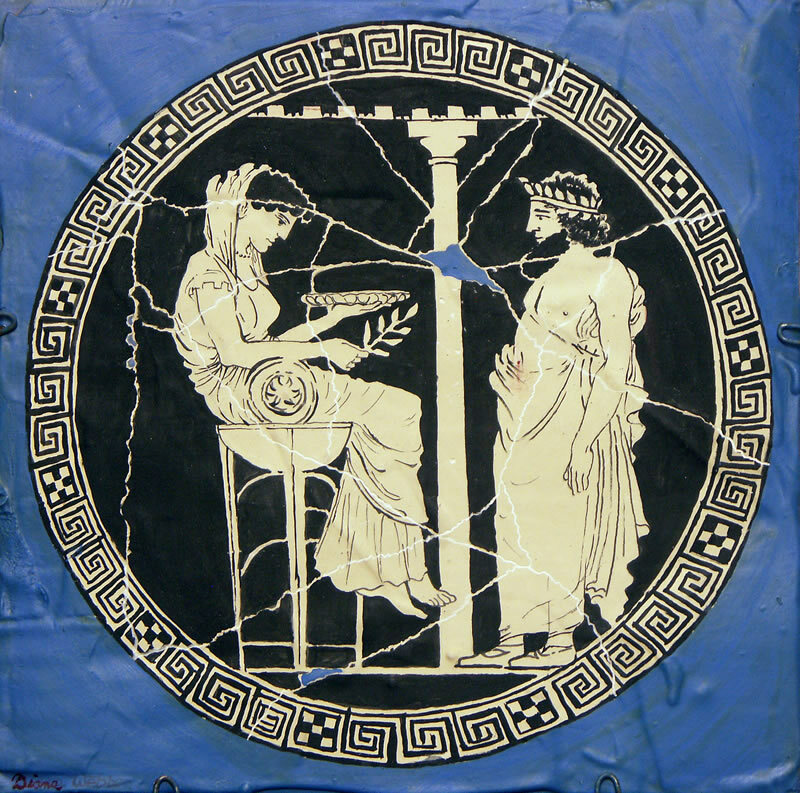 A classical decoration on a bowl made in Athens in the 5th century. From Atlas of the Greek World, page 79. Copy by Diana Webber, 2013. Published August 31, 2016 at 800 × 793 in Ancient Greece. Trackbacks are closed, but you can post a comment.